Gainsborough Flooring takes the show on the road! 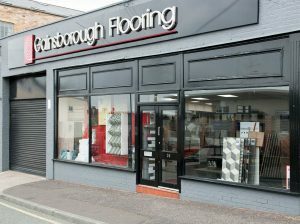 The Gainsborough Flooring team is taking the show on the road this July. On 6th, 7th, 8th July Gainsborough Flooring are sponsoring the Gin Marquee at Hopfest. This is the fourth year for this fabulous community event hosted at Preston Grasshoppers. It’s been a complete sell-out in the past and the event boasts a huge range of beers, gins and prosecco! Lunchtime on Friday 6th July kicks off with some business networking, where hundreds of local business people utilise the event to meet colleagues and associates. From Friday teatime right through until Sunday afternoon, the festival then turns into a full blown family event featuring everything from live music to entertainment, so an excellent occasion for everyone to enjoy. Following this, the Gainsborough Flooring team are exhibiting at the Royal Lancashire Show from 20th – 22nd July at Salesbury Hall, Ribchester. The show attracts over 15,000 visitors over the course of the 3 days and is the perfect opportunity for visitors to view the eclectic range of classic and contemporary products Gainsborough Flooring will have on display. A stylish village display showcasing the White Cliffs of Dover has been created using luxurious Brinton’s Carpet. The stand will also feature a staircase with the sumptuous liberty carpet designed by Alternative Flooring, which The Queen walked on at the Chelsea Flower Show last year and will be walking on again this year! To complement this, Vicky has a striking handbag with the stunning liberty design which will be displayed on a glass podium, unless of course, Vicky has it on her arm!